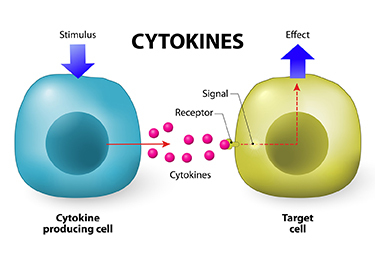 Cytokines are chemical messengers that send signals between immune cells and between the immune system and the central nervous system. Their levels in blood are considered a measure of inflammation, which has been implicated in depression and stress. 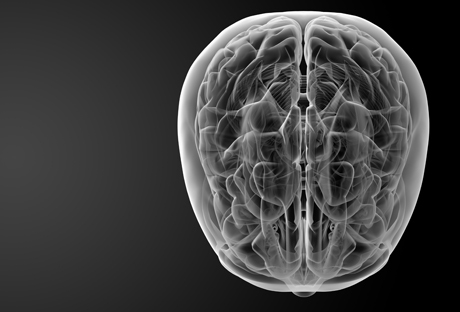 A new study by Ghanshyam Pandey and colleagues reported increased levels of cytokines in the brains of people who committed suicide. In the prefrontal cortices of people who died by suicide, there were significantly elevated levels of the inflammatory cytokines IL-1 beta, IL-6 and TNF-alpha compared to the brains of normal controls. There were also lower levels of protein expression of the cytokine receptors IL-1R1, IL-1R2 and IL-1R antagonist (IL1RA) in the suicide brains compared to controls. The researchers concluded that abnormalities in proinflammatory cytokines and their receptors are associated with the pathophysiology of depression and suicide. This research provides direct confirmation of the indirect measures of inflammation observed in the blood of depressed patients compared to controls. 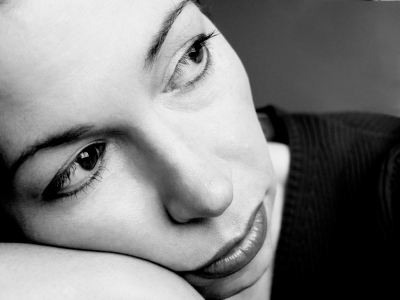 Depression is often associated with increases in markers of inflammation in blood, which include IL-1, IL-6, TNF-alpha, and CRP. Risk factors for increased inflammation include stress, obesity, a diet high in omega-6 fatty acids, sedentary lifestyle, social isolation, low socio-economic status, smoking, and being female. Treatments such as lithium, other mood stabilizers, and antidepressants can all have anti-inflammatory effects. At the International Congress of Neuropsychopharmacology in 2012, researcher Michael Berk reviewed data on inflammation in depression. Berk shared prospective data that in the general population, people whose levels of CRP fall within the highest third have the highest risk for a new onset of depression over the next 9 years, while those with CRP values in the lowest third (indicating low inflammation) had the least likelihood of becoming depressed. Drugs with more direct anti-inflammatory properties are beginning to be studied in unipolar depression with some success. In a trial by Abbasi et al. published in the Journal of Affective Disorders in 2012, the anti-inflammatory COX-2 inhibitor celecoxib (Celebrex) when added to the selective serotonin reuptake inhibit (SSRI) sertraline (Zoloft) had better antidepressant effects than the addition of placebo. Sepaujnia et al. reported in Neuropsychopharmacology in 2012 that an anti-diabetes drug that also has anti-inflammatory properties, pioglitazone (Actos), also beat placebo in depression. Laan et al. reported in the Journal of Clinical Psychiatry that the same was true of acetylsalicylic acid (ASA or aspirin). Finally, Berk summarized data that the class of cholesterol-lowering drugs called statins are also able to decrease CRP and improve or prevent depression. Epidemiological data by Pasco et al. published in Psychotherapy and Psychosomatics showed that subjects without depression were less likely to develop a new onset of depression if they were treated with statins compared to those who were not. Stafford et al. reported in the Journal of Clinical Psychiatry in 2010 that patients taking statins had a 79% decreased likelihood of depression at 9 months of follow-up. A third study in Sweden showed that simvastatin, a lipophilic (fat-soluble) drug that can readily enter the brain, decreases the incidence of depression more than some of the non-lipophilic statins. Moreover, a meta-analysis by O’Neil et al. reported that overall, statins had positive effects on mood. Preliminary uncontrolled retrospective data from one study did suggest that those treated with lithium plus aspirin did better than those on lithium and no anti-inflammatory. Thus it may make sense for unipolar and bipolar depressed patients with risk factors for heart disease such as a positive family history of heart disease and elevated cholesterol and triglycerides to discuss with their doctors the possibility of starting statin treatment earlier rather than later. This is because depression itself is a major risk factor for heart disease, so statins might lower risk both by their approved indication of lowering cholesterol and by their apparent ability to help fend off new episodes of depression. 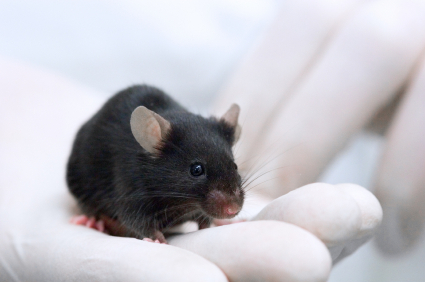 At a recent scientific meeting, researcher Georgia E. Hodes presented evidence that in mice, the immune system may play a role in behaviors that resemble human depression. 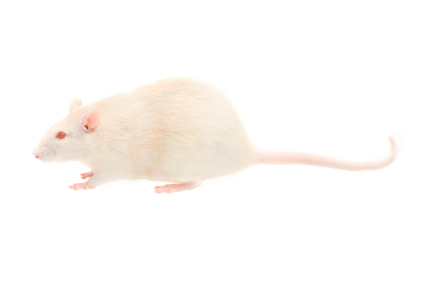 Repeated social defeat stress (when an intruder mouse is threatened by a larger mouse defending its territory) is often used as a model to study human depression. Animals repeatedly exposed to social defeat stress start to exhibit social avoidance and lose interest in sucrose. Hodes et al. determined that interleukin 6 (IL-6), an inflammatory cytokine, or signaling molecule, secreted into the blood was crucial to these behaviors. 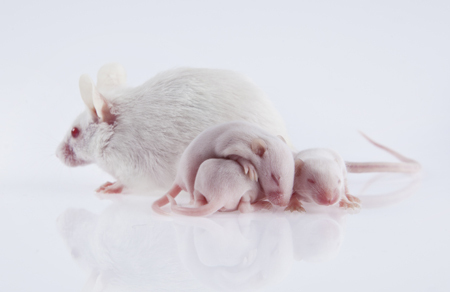 When the researchers injected mice with antibodies that block the effects of IL-6, or when they irradiated the mice’s peripheral immune system to prevent the formation of IL-6, the depressive behaviors did not emerge following defeat stress. Editor’s Note: There are increasing data that immunological and inflammatory mechanisms play a role in human affective disorders, and these preliminary data raise the possibility that blocking some immune mechanisms more directly in humans could be a novel therapeutic approach to explore in the future.